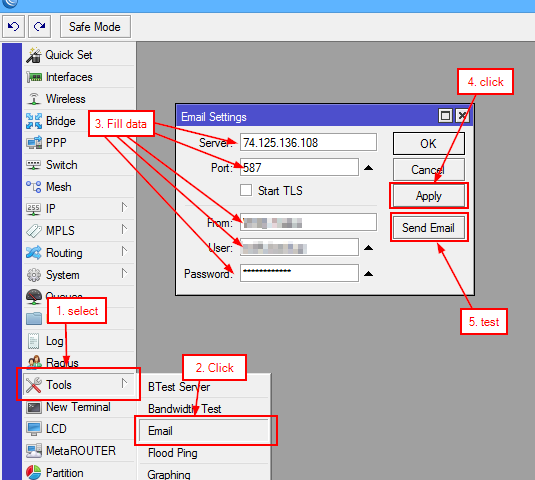 E-mail tool is the utility that allows to send e-mails from the router. Tool can be used to send regular configuration backups and exports to network administrator. Email tool uses only plain authentication and tls encryption. Other methods are not supported. Do you use 2 step verification (https://www.google.com/landing/2step/)?